I was wondering if anyone on this forum had any experience or knew anyone who stepped on stage to compete while being Reg. force in the combat arms. I'm currently waiting to get in as an infantry officer (hoping to be in BMOQ in August or September) and would like to, when I'm settled down in one place and permitted no conflicts, to compete in a men's physique competition. My question really is does someone like an infantry officer have time/resources( ie access to a gym, access to proper food) to prepare properly for something like that. Bodybuilding is a hobby of mine so it'd be cool if I could compete once or twice. Ps. If anyone wants to know what men's physique competitors look like here's a link. Once posted to a battalion, I'm sure you can do well while you are in garrison with your eating, and going to the gym. But, when you are in the field you are going to be SOL for the most part. On field exercises I've been on, the larger ones(Wainwright/Suffield brigade ex) I don't recall our Battalion sitting up a gym, on one ex I remember someone bringing a few weights and kettle bells for others to use. Chin up bars are usually constructed, and you can improvise weights with sandbags, ammo cans, jerry cans, etc. Some people also bring Olympic rings and TRX kits. On battalion ex's I don't remember anyone having any kind of PT kit outside of improvised weights such as sandbags, ammo cans, etc. You may also be too busy/tired to work out as you will be focused on training, O groups, planning, etc and not on personal PT. Food wise, you may be living off rations and whatever extra food you may have brought along(jerky, can tuna, etc), field kitchens/hay boxes or a mixture. To add here is another thread although it deals more with bodybuilding while on course. A bodybuilder physique does not lend itself well to soldiering my friend. You can do it but you will lose it all once you become an Infantry Officer, trust me. 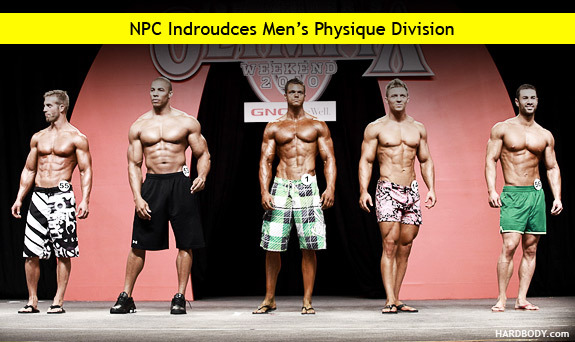 Lol this is the exact reason I also gave the link to what men's physique competitors look like. Try taking a look. They are far from being mass monsters...that being said I ran cross country and track and field at the university level so I think ill be good as far as running and ruck are concerned! Yeah, so does not having special time, special equipment and a special diet provided to you for your hobby. You're joining to do a job. Not joining a hobby so you can do YOUR hobby. We expect commitment, especially from our officers. You're at a 10 when you need to be at a 2. Like I said... It's a hobby. I never even came close to implying that it was something I needed, just that it's something that would be nice to continue in the future. And we need you to take the advice you're being given from serving Infantry Officers without being a sarcastic #$@$. I don't think any part of that was sarcastic. I meant exactly what I said. How anyone got "if I can't go to the gym 5-7 days a week and eat 6 meals a day whilst I'm in the army then I'm going to throw a temper tantrum" is beyond me. Had I said anything along those lines than his comments would be ABSOLUTLEY warranted...but I never even came close to saying anything like that. Regardless of whether your a serving member or a veteran it's infuriating for someone to leave inflammatory statements to a question in which they clearly did not read! Maybe while growing those muscles, you'll grow a thicker skin too. While you are in garrison and permitting with time, courses, duties, etc you'll be able to chuck iron regular. As has been explained, in the field...not likely to happen. At the beginning when you are done 'training' (in the formal course sense) and show up at your first Battalion posting, you will likely enjoy less success on that aspect then later if you are in a staff posting somewhere. But field time and the like will greatly affect your ability to train for this personal goal/interest. It's not impossible, and you just need to remember that "the needs of the CF will trump". You could be 2-3 weeks away from a show and starting to rip up and then get the word you are being tasked 'short notice' to something that will completely blow that out of the water. A guy I know was in the infantry (PPCLI, Hollywood Bn) and had a hard time and he was pretty serious about it. Later he remustered to Trucker (MSE Op) and had more success AFAIK. Last time I saw him years ago now, he was posted to the Inf School and was pretty built. I also knew a Sgt who was in 2RCR who was a fair size lad and managed to keep some decent size on. But he had to do his field time and no doubt experienced losses that he'd work had for. Part of the job. While you are in garrison and permitting with time, courses, duties, etc you'll be able to chuck iron regular. As has been explained, in the field...not likely to happen. As the beginning when you are done 'training' (in the formal course sense) and show up at your first Battalion posting, you will likely enjoy less success on that aspect then later if you are in a staff posting somewhere. But field time and the like will greatly affect your ability to train for this personal goal/interest. It's not impossible, and you just need to remember that "the needs of the CF will trump". You could be 2-3 weeks away from a show and starting to rip up and then get the word you are being tasked 'short notice' to something that will completely blow that out of the water. Thank you. That's how you answer a question. I like your confidence, it is always good to see; however, you also need to be humble and know when to open your mouth and know when to keep it closed. People here will rip you a new a**hole if you come across as a smart**s and a know it all, especially with zero experience in our organization. It is nothing personal its just that people in the CF, especially Snr NCOs (some of whom replied to you in a less then friendly tone) take the job very seriously because this is not a normal 9 to 5 job. The military is a calling and their are not many other jobs like it. My simple advice to you is to continue trying to do your hobby if it is what you enjoy. Likewise, know that you will have very little time once you get into the training system to do this. As well, your first tour of the Regiment you will have very little time to do this, especially if you are in a command position i.e. platoon commander as you will have to focus on other things like training your men and looking after their physical fitness which will inevitably eat up most of your time for PT. You will be very engulfed in administration, planning and looking after the welfare of your men that you will probably have very little time to go to the gym and eat a specialized diet during your first few years. You will work long hours and they won't always be regular hours. Were their days when I was done at 2pm and hitting the golf course? Absolutely; however, their were also days when I got to work at 6am and worked until 9pm at night. Or I went to the field for a month and ate beans & weiners rations the entire time. As you can imagine this is not exactly what you would like to be eating to be a body builder and my only gym time or real food was when I left the camp on some weekends and went to a resort or to a city. This was all dependent again on if I wasn't busy that weekend. Do not take offense to what people say on here to you, realize that we have probably walked in your shoes before and have simply been around a bit longer, some much longer so we are trying to tell you what to expect. It is alright though, I was the same way and still am at times all it takes is a good slap to put me back in my lane. Cheers and good luck in your goal of getting into the CF and becoming an Infantry Officer. If you have any questions feel free to send me a PM, I will answer them to the best of my abilities. I've seen some pretty big guys in the CF running around. I have a friend who's dad is a Padre who competes in the over 65 age group of bodybuilding. I recall in weight room in Gagetown there was a poster of members who competed in bodybuilding, but it's been a long time since I've been out there. The CF isn't the ideal environment to be a bodybuilder since you need a very special diet and workout program. Can you become extremely fit? Yes you can. Personally I'm of the opinion that if you're fit, the good looks will follow Just maybe not to the standard you want. You sound like a big cry baby. Don't worry, you're young you don't need to listen to the advice of experienced soldiers and officers. If someone gives you an answer you don't like then they're probably wrong. I'm not really sure why I keep responding to asinine comments but this is the last thing I'm going to say on the subject. At which point in this thread did I disregard the advice of the people responding? I'm really failing to see that anywhere. In fact most people have responded in a very polite yet frank way- i.e. barring having a position where you're mostly at a desk all day everyday it would be near impossible to compete given the commitment BOTH the duties an Infantry officer has and the time/resources needed to compete. And of course your duties as an officer and soldier supersede any particular hobbies. My problem lies in people's inability to READ THE QUESTION. I took careful consideration into how I phrased the question using terms like "hobby" as opposed to "lifestyle" or "aspiration" and it's annoying when people put words in your mouth by responding in a way that has nothing to do with the question asked. And to top that off, when called out for this behavior people seem to love to fall back to "you're just a stupid kid who can't take advice from experienced members". And it's also HILARIOUS that people think that giving me negative MP's is somehow a punishment? But anyways... Thank you to everyone who responded and answered the actual question I asked. My question really is does someone like an infantry officer have time/resources( ie access to a gym, access to proper food) to prepare properly for something like that. I'm really failing to see that anywhere. You wanted to know if it was possible, he said yes it is possible, but he also went a step further to let you know that you are going to lose that muscle as an Infantry Officer, because the super low body fat with extra unnecessary muscle body type does not lend itself well to soldiering. You just assumed he didn't even look at the pictures, so you disregarded his advice on that assumption. Everything that Eye In The Sky said, which you applauded for being "how you answer a question" was insinuated by RoyalDrew in his original reply. There really didn't NEED to be anything more than what RoyalDrew said. "Yes, it is possible. Anything is possible. But the body type is not ideal for a CF Infantry Officer, and you WILL lose the gains at some point." OF COURSE you will have access to proper food. An infantry officer has access to a grocery store just like anyone else. OF COURSE you will have access to a gym. Most (all?) CF Bases have gyms, and you can get a gym membership somewhere else just like anyone else. OF COURSE you will have personal time to workout/train. The CF doesn't normally need their employees to work 16 hour days, every day. What if there was an emergency deployment or exercise you needed to go on, and you were at your peak bodybuilding physique, with all of that extra muscle packed on and an incredibly low body fat, especially in the core area? Do you think that would be ideal for the CF and you would perform your duties to the best of your ability? Highly unlikely, because, as RoyalDrew (an Infantry Officer) pointed out, a bodybuilder physique does not lend itself well to soldiering. The Canadian Forces spends a lot of money trying to keep everyone ready to perform at their best abilities when the poop hits the fan. A body builder physique, whether natural or juiced up, isn't likely to get you to perform your best. I am just going around in circles repeating myself and what others have already said, but just from someone who has NO interest in Infantry, and NO interest in body building, I felt reading this thread that your reply to RoyalDrew was a slap in his face basically telling him "I am ignoring your advice, because I don't think you even looked at the pictures." Respect to RoyalDrew for not tearing you a new *******, and actually coming back to give you more advice. I can tell that me, and a few of the other guys in here, would have chewed you out for days from that reply. I hope if the Canadian Forces recruits me, they can teach me some of the discipline to remain calm when dealing with responses like that. I've known two CF members who have competed or compete. One was a male infantry Sgt and the other is a female MCpl RMS type who has won a few national level competions. The former was posted as RSS to a reserve unit when I've known him to compete and the latter is/was posted to a unit where PT is not only encouraged it is demanded. Both required time, effort and dedication and their individual situation allowed them to prepare and compete. This may not always be the case. Respect to RoyalDrew for not tearing you a new *******, and actually coming back to give you more advice. [This next part made me wish I could cyber-kick you in the 'nads] I can tell that me, and a few of the other guys in here, would have chewed you out for days from that reply. [ STFU. Seriously.] I hope if the Canadian Forces recruits me, they can teach me some of the discipline to remain calm when dealing with responses like that. SUM UP! You don't even have a *I PASSED BMQ* T shirt yet ffs. How (or why) the frig do you have anything to say in this thread? Despite that you still felt compelled to . Sigh.... I'll bet that felt good!!!! Because I am a member of this website, and I have access to this thread, and I read the response from him, and felt it was very inappropriate. This thread was created by someone who also hasn't passed BMQ, so me and him have the same level of experience in the Canadian Forces. Yes, I did feel compelled to add more information, just like you did. Did you really NEED to post what you did? No, you did it because you wanted to. He asked a question, I felt I was qualified to answer it. The question had nothing to do with Canadian Forces, but rather with his ability to comprehend what he wrote in this thread. If someone asks how to wipe their ***, I don't think I need to be a member of the Canadian Forces to answer that. If I am wrong and you guys have been taught to do that differently, well than I am sure someone will be happy to correct me, and any harm done will be quite minimal. There are way too many people on the site lately that can't seem to take the very slightest of criticism without getting sand in their ovaries and whining about all kinds of manginal irritation.